Special rubber tread formula offers high abrasion resistance. Unique groove design provides excellent handling and safety. 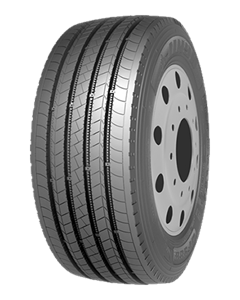 An optimized 4 straight groove design provides excellent stability and greater mileage. Low rolling resistance reduces fuel consumption making the tire both economical or green.